Laura’s community philanthropy experience brings together strategy and impact. She has led fundraising teams at the Fulfillment Fund and United Way of Greater Los Angeles, realizing significant revenue growth at both organizations. Through her consulting firm, Impact Philanthropy, Laura has worked with over 40 local, national and international nonprofit organizations and foundations with an approach that is results-oriented: making clear the connection between mission and money, and the respective roles that staff and board members play in building resilient organizations. Impact Philanthropy helps to build more effective nonprofit organizations through: • strategic planning • fundraising advising • executive search services • as well as by providing grantmaking counsel to family foundations. After serving high net-worth individuals and families since 2001 as a lead advisor in the family office space, Jenn co-founded Align Impact in 2014. Align serves as an independent and specialized impact advisor to families, foundations and their financial advisors to help define their most important values and desired social outcomes. Align’s clients increase the effectiveness and alignment of their philanthropic grants, impact investments, and mission related investments. Align’s customized impact portfolios aim to deliver the same risk and return as best-in-class globally diversified asset management strategies, all the while investing in companies that are more aligned with a client’s values and avoiding companies that contradict those values. Mark actively volunteers his time as a mentor and advisor to entrepreneurs, is a USC and UCLA guest lecturer on the subject of financial modeling for start-ups, and owns and operates Supporting Strategies – Los Angeles, a business providing finance and accounting resources and leadership to start ups and small businesses. He leverages a professional background in finance and operations leadership experience across a myriad of businesses and industries to effectively manage the numbers for his clients. Regina Birdsell has been a marketing and communications executive within the corporate, nonprofit and public sectors for over 20 years. After graduating from USC, she began her career at Eyewitness News in Los Angeles, served as press secretary for California’s Attorney General, worked to build the Public Affairs office at Children’s Hospital Los Angeles, ran the New Los Angeles Marketing Partnership in collaboration with Mayor Riordan and corporate leaders throughout region and was later appointed by the Governor to be a consumer advocate. In 2006 she became the president of the Southern California Center for Nonprofit Management. The organization provides management and leadership education and coaching for thousands of nonprofit executives and volunteers every year. Tammy Sims Johnson serves as a relationship manager for individual, family and corporate donors to help them establish and realize their philanthropic goals. Prior to joining CCF, she worked as a Public Information Officer for the Los Angeles Unified School District and the Director of Public Information for the LA’s BEST After School Enrichment Program in the Office of the Mayor during the Bradley and Riordan administrations. She later served as a Senior Program Officer for the Riordan Foundation. She also worked in the private sector as a Commercial Real Estate Sales Advisor with Sperry Van Ness and Re/Max Commercial. Tammy holds a bachelor’s degree in print journalism, with a minor in International Relations, from the University of Southern California. With more than 30 years of development and marketing experience, Baruch Littman aims to increase the assets of The Foundation. Prior to joining The Foundation in 1999, he served as executive director of The California-Israel Chamber of Commerce. His career includes senior positions at The Jewish Federation of Los Angeles and the American Nurses Association, as well as senior marketing and management positions at both Fortune 100 and 500 corporations. Littman earned his bachelor of science degree from Long Island University and his master of science degree from The City University of New York. Darya focuses on Strategic Wealth Management for high net worth families, nonprofits, foundations and endowments. Her investment process draws upon her knowledge of asset allocation, investment management, and income and estate tax issues and structures. As a Financial Advisor to family wealth and/or foundation and endowment clients, Darya brings a wealth of knowledge of the investment markets, 22 years of experience in financial services, and draws on the significant institutional and consulting resources of Morgan Stanley*. Darya is a Financial Advisor at Morgan Stanley*, “MSSB”, where she has spent almost 15 years of her career. After earning her CPA at KPMG Peat Marwick – Nonprofit practice group, she joined Morgan Stanley in New York, now Morgan Stanley Smith Barney, and later worked for Morgan Stanley* in Chicago and Los Angeles. Darya earned her BA from Kalamazoo College, Certificate in Accounting from Northwestern University, and her MBA in Finance from Fordham University. Kafi D. Blumenfield has two decades of experience as an advocate for social change working to improve the well-being and civic engagement of disenfranchised communities. Between 2007 and 2013, she served as Liberty Hill Foundation's President and CEO during which time she strengthened the foundation's investment in community leaders on the frontlines of change by launching innovative programs including the Brothers, Sons, Selves initiative to improve the wefare of low-income young men of color in Los Angeles and the Wally Marks Leadership Institute for Change, an intensive on-the-job training for community organizers. She has also initiated special programs to increase donor diversity in philanthropy and put together a strategic refocusing of nearly $5 million in annual grant investments. Ms. Blumenfield was appointed to the California Commission on the Status of Women by Speaker John Perez. She serves on the boards of Tides, ARC, Southern California Grantmakers, Association of Black Foundation Executives and Planned Parenthood Advocacy Project in Los Angeles and is a member of the advisory board of the Los Angeles River Revitalization Corporation. Ms. Blumenfield is a member of the selection committee for the James Irvine Foundation Leadership Awards. Ofer Lion is a tax partner in the Corporate department of Seyfarth Shaw LLP. He has represented nonprofits and tax-exempt organizations in a wide range of tax, transactional, corporate, governance and fiduciary matters, including formation, mergers and acquisitions, executive compensation, international activities and affiliations, unrelated business taxable income, joint ventures, program-related investments, political activities and lobbying, audits and tax controversies, tax return review, tax-exempt bonds and dissolutions. He has extensively represented companies in all aspects of transactional tax matters, including mergers and acquisitions (domestic and cross-border taxable transactions, tax-free spin-offs, Section 351 transactions and corporate reorganizations), equity and debt securities finance, partnerships and private equity funds, real estate investment trusts (REITs), bankruptcy reorganizations, debt restructurings and state and local tax issues. Ofer has been quoted as a tax-exempt organizations authority in numerous news stories, including on NPR, by the Associated Press and in The New York Times, The Wall Street Journal, the Los Angeles Times, Tax Analysts, The Huffington Post, Forbes.com and Politico.com. He has taught “Tax-Exempt Organizations: Law and Practice” as an adjunct professor at the UCLA School of Law. Joseph M. Lumarda is a senior vice president and investment counselor for Capital Group Private Client Services division and a vice president of Capital Guardian Trust Company, a Nevada Corporation. Capital Group Private Client Services provides investment management and financial planning services for individuals, families, trusts, foundations and nonprofit institutions. Prior to joining Capital, Mr. Lumarda spent 16 years at the California Community Foundation as a program officer, vice president for development and executive vice president and chief operating officer. During that time, he also served as an independent director for Capital Research and Management Company’s Endowment funds, a series of investment portfolios designed exclusively for nonprofit organizations. Before that, he spent three years active duty and five years in the reserves with the U.S. Navy as a lieutenant and naval flight officer on the P3 Orion anti-submarine warfare aircraft. 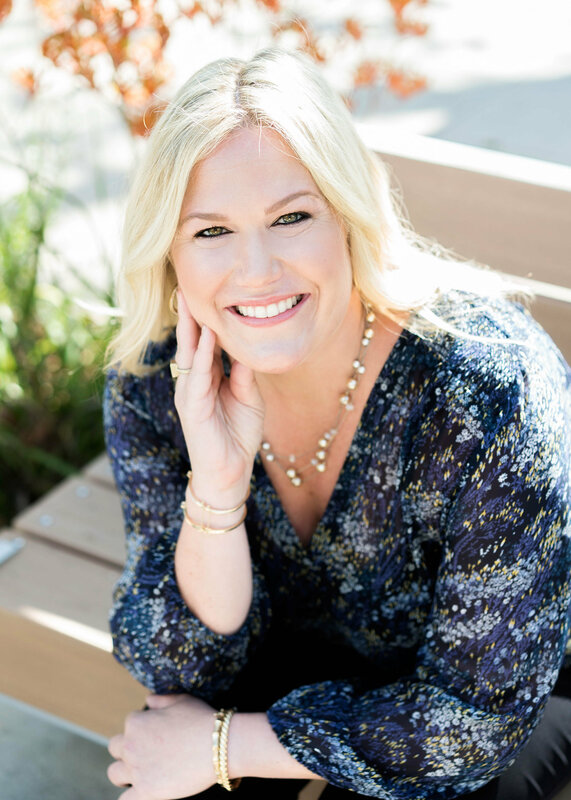 Erin Tanenbaum is Director of Programs at the Southern California Leadership Network (SCLN), overseeing the development of creative and timely content and the identification and recruitment of speakers for SCLN Fellowhips. Prior to joining SCLN, she designed and managed projects and initiatives at the Milken Institute, working on issues ranging from aging to global healthy to food security to enhancing job growth in California. Tanenbaum began her career in the nonprofit sector running summer respite programs in Croatia for children who survived the Bosnian war. Since then, she has developed programs, raised support and overseen operations for both international and domestic nonprofit organizations, such as the California Community Foundation, International Medical Corps, Southern California Grantmakers and the Venice Family Clinic. For more than 15 years, Tanenbaum has dedicated her career to providing leaders from the public, private and community sectors with opportunities to best leverage their human and financial resources as stewards of change. Reg and his wife, Gina Ross, founded the International Trauma Institute a decade ago bringing solutions to societal trauma of nations and communities suffering from war, terror, displacement and natural disasters. He has served as financial advisor to domestic and international families for over three decades and speaks frequently on issues of legacy and philanthropy.